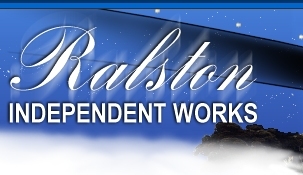 The mission of the RIW is to produce books and visual media of San Francisco's fascinating history. 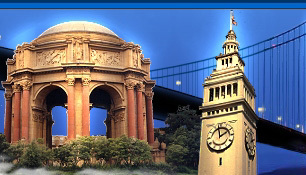 * Calendar 2008" This Date in San Francisco, Historical Calendar; Over 320 entries in the fabulous history of a fabulous city"
* Encyclopedia of San Francisco on line is produced by Lana Ralston and new entries are coming. 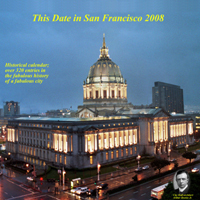 This Date in San Francisco Calendar 2008, illustrated with antique and contemporary photographs, is available to order. Click here to see some of the illustrations in Calendar 2008. The book version "This Date in San Francisco History" will have an entry for every date of the calendar year, and will be available in 2009. Please click this link to order the calendar for your store or organization. 1. October 23, 2003 ---- " The Incredible Case of Warren Billings and Tom Mooney". Presentation of a unique program of original films, stills, and narration at the San Francisco History Association meeting. Read here more about this story. 2. June 8, 2004 --- "Fremont Older" ---- Presentation of a unique program of original stills, and narration at the San Francisco Museum and Historical Society meeting. Read here more about this story. 3. September 12, 2006, 7:00 p.m.----- "This Date in San Francisco " --- Presentation of a unique program of original stills, and narration at the San Francisco Museum and Historical Society meeting. The location: Hiram Johnson State Building, Milton Marks Conference Center, 350 McAllister Street, San Francisco. 4. August 21, 2007, 1:00 p.m.----- "Character References: Famous San Francisco Men and Women" --- Power Point program, Palo Alto Lions' Club meeting. 5. September 11, 2007, 7:00 p.m.----- "Character References: Famous San Francisco Men and Women" --- Power Point program at the San Francisco Museum and Historical Society meeting. John is working on a new book "This Date in San Francisco History -- 366 Days That Made Our Fascinating City". He will finish a biography of Fremont Older, a famous nineteenth and twentieth-century editor. A saying of Older's that I really like is "You accomplish so much more with love than you do with hate." Documentary "The Incredible Case of Warren Billings and Tom Mooney." History lovers can enjoy reading about John's project Making a Documentary "The Incredible Case of Warren Billings and Tom Mooney." Researching, writing, and producing The Incredible Case of Warren Billings and Tom Mooney has put us physically in touch with San Francisco's history in a way we never felt before. Mooney's and Billings' innocence of the Preparedness Day Bombing of July 1916 was established by simple geography. Both men, and their co-defendants Rena (Mrs. Tom) Mooney, and jitney driver Israel Weinberg were proven by defense attorneys to have been over a mile away from Steuart Street at the time the prosecution claimed they were placing a suitcase loaded with explosives there; yet two juries succumbed to popular hysteria - and to perjured testimony - and returned guilty verdicts (all the living members of Mooney's jury later signed an application to the governor in support of his pardon). Billings' presence in what is now called Maiden Lane was corroborated by multiple defense witnesses, and the prosecution witnesses who testified against him later said that they had either lied or were mistaken. 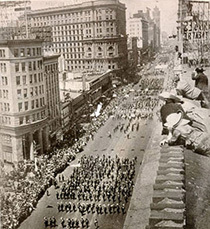 Tom and Rena Mooney were 7,000 feet away from Steuart watching the parade on the roof of a building that still exists: on the south side of Market Street just east of Sixth, stands the Wilson Building, known in 1916 as the Eilers Building, where Rena Mooney had her music studio and where the Mooneys lived. 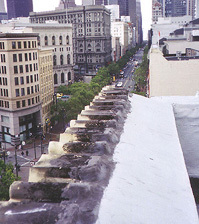 In May 2003 the company that manages the property let me go to the roof to photograph the spot (color photo, left) from which the Mooneys watched the parade. On Preparedness Day the Mooneys were photographed, Tom leaning against the parapet, Rena to his right (tinted photo, right). Roof of the Wilson Building (Eilers Building) today. Roof of the Eilers Building, July 22nd, 1916. Tom leans in the corner as Rena, to his right, holds her hat in the wind. 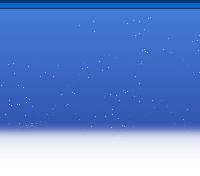 White arrow, left middle, points to clock. District Attorney Fickert claimed the photo had been destroyed. The defense threatened legal action and the judge compelled the police to produce it. The defense saw in the photo a street clock in front of Albert Samuels jewelers (white arrow, right picture, above), it being common for jewelers to advertise that way. A prosecution witness claimed to have seen Mooney at Steuart Street, almost a mile and a half away, at two o'clock. 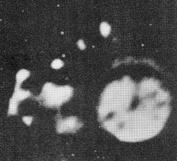 The photo was enlarged until the clock could be read: one minute past two; the defense's case was ironclad. What the defense did not know and could not imagine was that the prosecution would produce a psychopathic liar to testify that he had seen Billings, Mooney, Rena Mooney, and Weinberg drop a suitcase at Steuart Street - the infamous Preparedness Day bomb! That witness, like all the prosecution witnesses, was utterly discredited after Billings and Mooney were convicted, but both men spent twenty-three years in jail. The clock (below, left) that established Mooney's alibi was later moved 300 feet down Market Street. In beautiful condition, it shows time today as it did on that fateful July 22nd. Lana was photographed there on October 25th, 2003. One minute past two: Mooney's alibi.